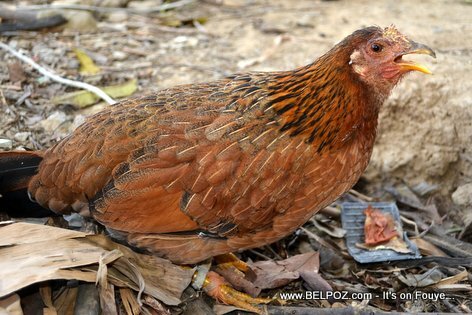 If you want to buy a poul peyi in Hinche, Haiti, the province where I live, you have to dish out 400 to 500 gourdes, almost double the price it was over a year ago. That of course means the price of a dish of Haitian stewed chicken (Poulet Creole) at the local restaurant is more expensive as well. One of the restaurant owners in town tells me he sells more of the imported chicken than the poulet creole because it is expensive to purchase he had to raise the price of the dish considerably. Back in the days, Pintade used to be a delicacy but now the poulet creole (poul peyi) is becoming more of a delicacy as well. Bon w gen chans li retire 25 gdes pou wou sou 500 epi wap pale. Jou Mache Hinche, yon madanm mande m 95 dola (475 gourdes) pou yon ti poul peyi. Konbyen li vann bo lakay ou?